2017 has been a year of rapid growth for PHC, especially in the Food Industry. We've tackled a wide array of complicated production challenges and helped our customers increase productivity and efficiency while reducing downtime. This stainless steel conveyor line was designed for the food industry. 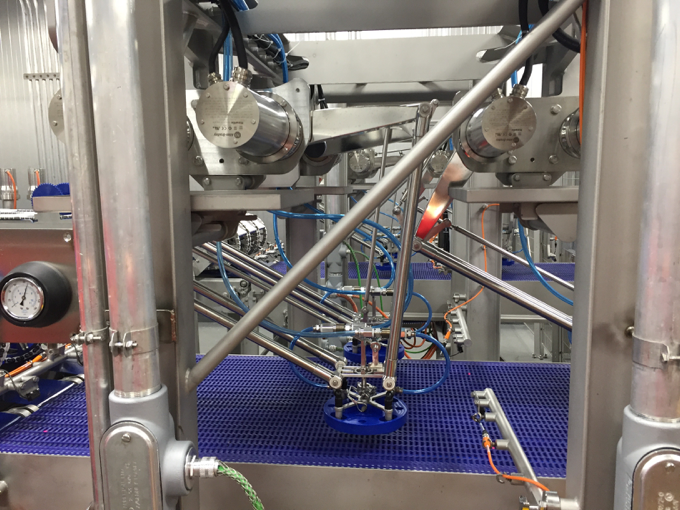 Pictured is the manually adjustable bump turn to change the orientation of trays of product. 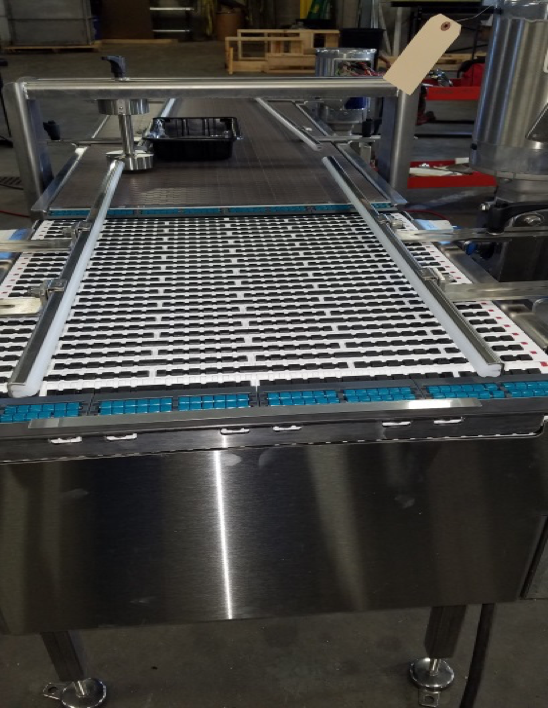 Incline outfeed conveyor for the food industry with a 180 degree turn. 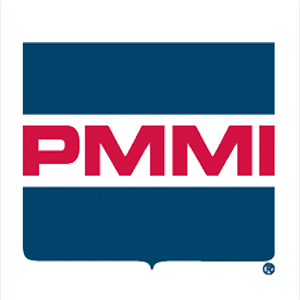 PHC designed a fully custom, automated solution for a process that had previously been conducted manually. The system is able to manage nearly 20,000 units per hour through an highly intricate manufacturing process. Stainless steel conveyor line including a platform providing access to the discharge end of a screw conveyor. Transfers bagged products to a tote positioned on an MDR tote landing conveyor. The conveyor is designed to transport packaged cheese from a low point to a higher point. The “U” shape of the conveyor is used to reduce the rate of incline between the two points. This design also reduces “foot print” on a production floor. A similar rate of incline in a “straight” line conveyor would be much longer. The chain is equipped with rubber gripper bars that further assist in the handling properties of the unit. Conveyor System complete with a scale feeder incline conveyor, two retractable feed conveyors, vibratory conveyor, hopper infeed station and tool-less cleaning station. 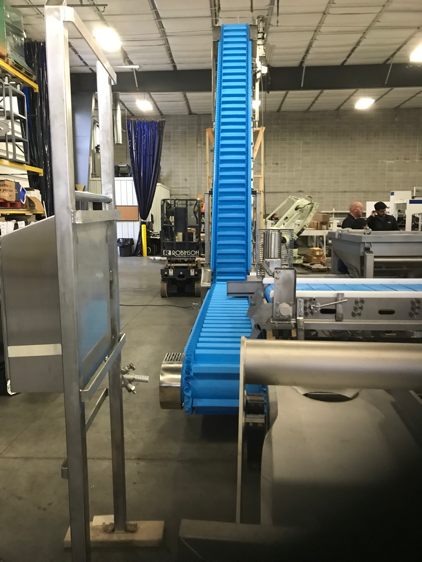 The scale feeder incline conveyor features a blue belt has sidewalls and cleats to transport food product from a feeder conveyor to a scale for collection and measurement. Product is contained and product escape is virtually eliminated. The Retractable feed conveyor. Spreads product evenly in the “transport” pocket of the incline conveyor. The retractable conveyor is programmed to spread the product evenly as the conveyor continues to run. The vibratory conveyor is used to disperse product into an even distribution. Agitation of the product using this method increases the product “spread” and makes it much easier to handle. In the hopper infeed station, product is dumped into the hopper as a collection basket. Product is automatically pulled from the hopper and moved to the next station. The “amount” of product moved can be changed by increasing or decreasing the height of the cleats on the belt. In the “Tool less” cleaning system the belt is held up by the rotation of a handle. The wear bars can be removed by hand and cleaned, the underside of the belt can also be cleaned, all without the need to remove or teardown anything on the line. The scope of supply begins at the hopper of a flighted urethane belt conveyor (Product Feed Incline Conveyor). Workers will empty cases of product into the hopper at an ergonomic height. The incline conveyor will elevate the product and dump onto a vibratory conveyor (Vibratory Inspection Infeed). 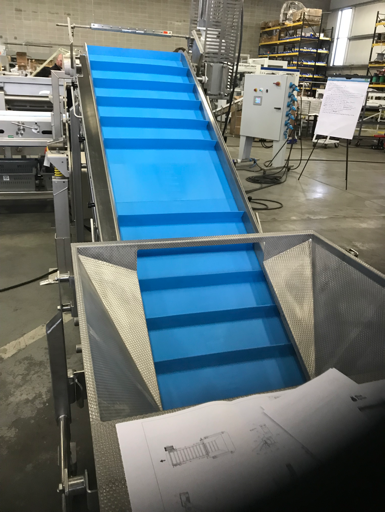 The vibratory conveyor will transport product to a urethane belt conveyor (Inspection Conveyor) and disperse the product evenly across its width. Workers at the Inspection Conveyor will sort through product as it travels to a flighted urethane belt conveyor (Scale Incline Conveyor). 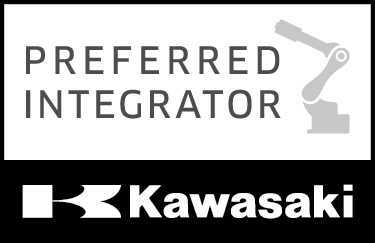 Product will elevate from floor level up to the elevation of the combination scale positioned above a VFFS machine. 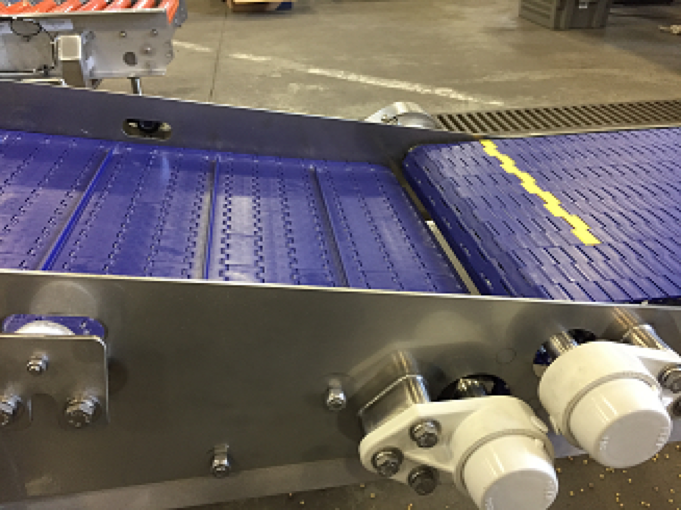 A second vibratory conveyor (Vibratory Scale Infeed) will receive product from the Scale Incline Conveyor and deliver it to the combination scale. A flighted incline conveyor (Bagger Discharge Conveyor) will transport the filled bags of food product from the bottom of the VFFS machine and transport it up to elevation to a check weigher and metal-detection unit (supplied by others). 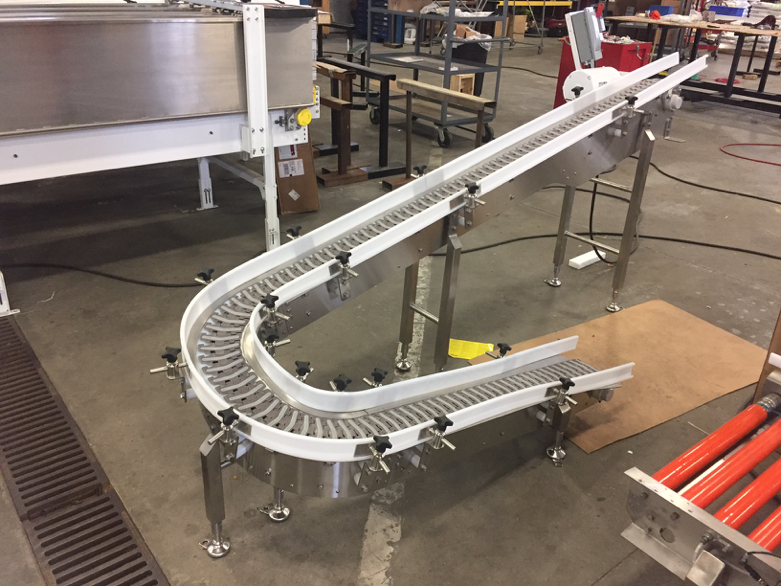 Upon leaving the metal-detector unit, a new PHC modular belt conveyor (CW/MD Discharge Conveyor) will transfer the bagged product to a tote positioned on a new MDR conveyor (Tote Loading Conveyor). The new MDR conveyor will contain 18” long zones to stage and fill the totes.